Recently, our nation has been plagued by incidents of tragic violence in our public schools. Keeping students and staff safe and secure and ensuring a stable learning environment is our district's top priority. Controlled Access. Perimeter fencing is in place around all campuses and exterior gates are secure and monitored during school hours. Visitor Registration and Screening. All school visitors must enter through the school office and register with staff before gaining further access to school grounds. Identification Badges. Staff and guests are asked to wear district issued I.D. badges at all times while on school grounds. Video Cameras. Cameras monitor and record activity throughout our campuses. This not only acts as a deterrent, but helps staff and law enforcement investigate vandalism, theft, fights or other criminal or inappropriate activities in and around our schools. School Resource Officers. Our district has a strong relationship with the Fresno Police Department and the Fresno County Sheriff's Department. School Resource Officers are assigned to our high school and middle school campuses along with officers from Fresno County Probation. Together, these officers work with our school site personnel to provide security, investigate potential crimes, and ensure a safe environment. Emergency Training and Safety Drills. Regular safety drills ensure our staff and students know what to do in the event of an emergency. Drills include, but are not limited to: Fire, Lockdown, Evacuation and Drop, Cover and Hold. We also utilize law enforcement for active shooter scenario training at each of our school sites. School Safety Plan. 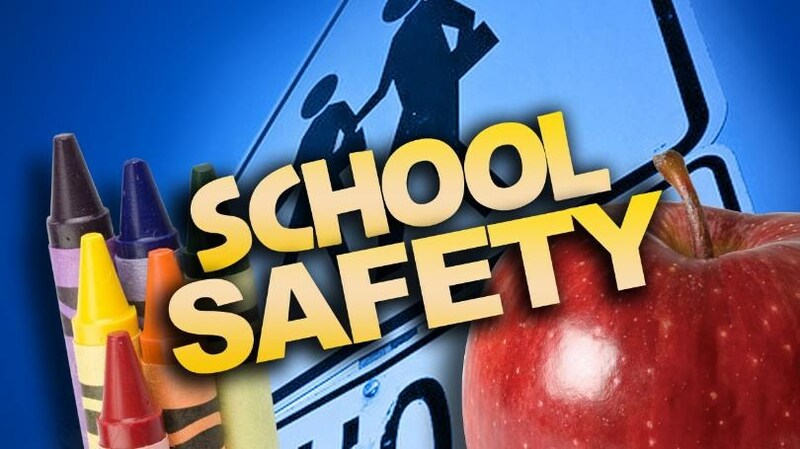 Each school has a Comprehensive School Safety and Emergency Procedures plan in place that is reviewed and updated regularly. These plans encompass many issues designed to prevent and prepare for a variety of emergency events. School safety teams/staff discuss these issues throughout the year to be prepared to respond in a timely and effective manner should the need arise. Counseling and Mental Health Support. School counselors, psychologists and local agencies are available for the health and safety of all students. Crisis Communication. Our goal is to quickly and accurately communicate essential information to first responders, district staff, students, parents and community members as needed to ensure the safety of all throughout any emergency. Rest assured that if we have any information regarding safety issues or even credible potential concerns, we will communicate those with our staff and parents as quickly and thoroughly as possible via telephone, email, text and/or social media. Even with all of the above measures in place, school safety is best supported through a community effort. We encourage all of our students, parents, staff and community members to report any safety concerns immediately to the school sites, district office or local law enforcement. Thank you.